Though doors may seem unrelated to making, crafting, and DIY, they “welcome” creativity! That’s right...I’m obsessed with DOORS! 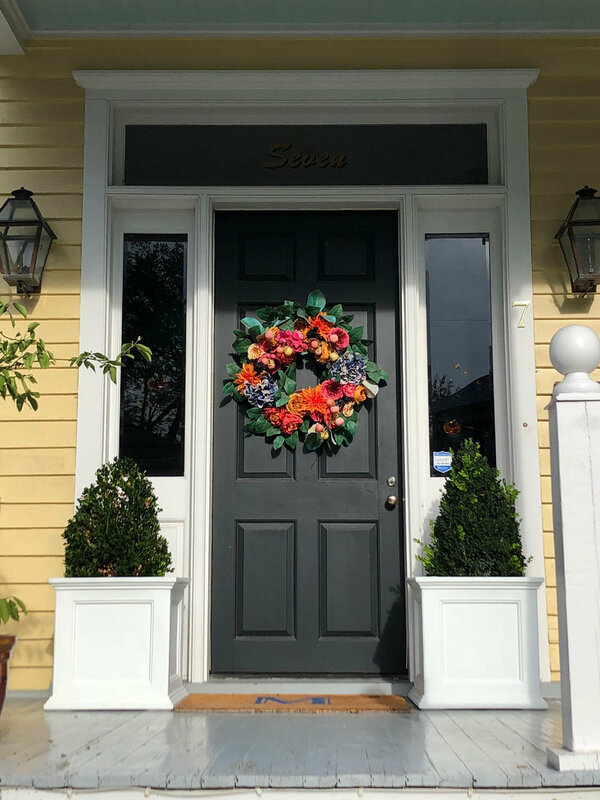 Yes I’m also obsessed with crafts, needlework, organizing (OCD about this one), gardening and so much more BUT pretty entrances have always fascinated me! When I was 23, I bought my very first house in Birmingham Alabama. It was terribly run down and the exterior paint was in horrible shape. One of the first things I did was paint the house blue with white trim, accented with a cherry-red door. It’s still one of my favorite combinations! I like an entrance to stand out, proudly, commanding attention. Maybe that’s why I painted the door of my little cottage a hot pink color! I actually wasn’t trying to make a statement but just thought it would be cute. It is hard not to fall in love with the doorways and architecture of historic Charleston, from Rainbow Row to the homes of the Battery. I had the opportunity to travel there last year and fell in love with the stately homes and entrances. As we toured the city I couldn’t help but snap photos of some of the pretty entrances we saw. I didn’t want to cause trouble with any owners so there wasn’t a lot of staging involved in these photos, just quick shots as we strolled by. 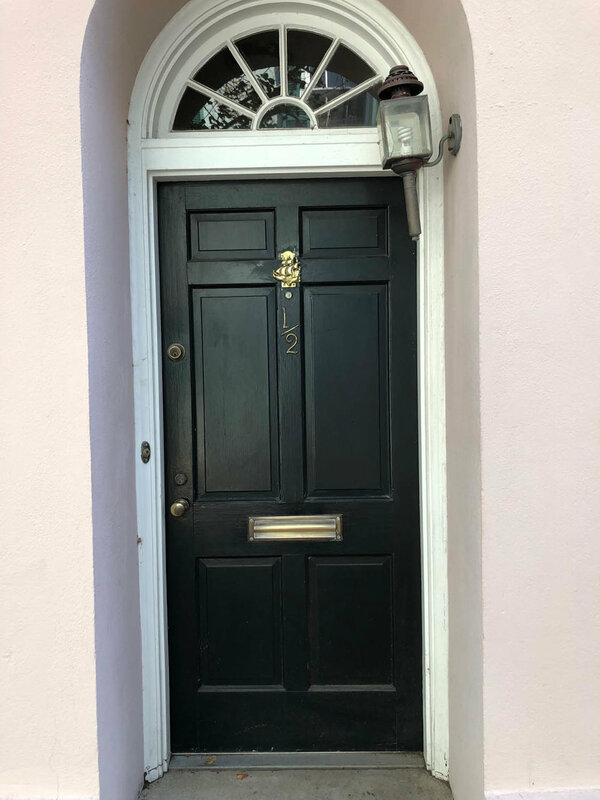 In no means did I intend to write a post about the doors of Charleston but as I recently scrolled through my photos I came across these pictures I took of doorways and thought I’d share. If you’re interested in seeing more, there are books and Pinterest accounts galore with gorgeous pictures. As I scroll through these photos I realize one thing most of them have in common is their mix of creative colors. I also love the use of white trim to accent and really make the doors pop. Here are a few of my favorites. 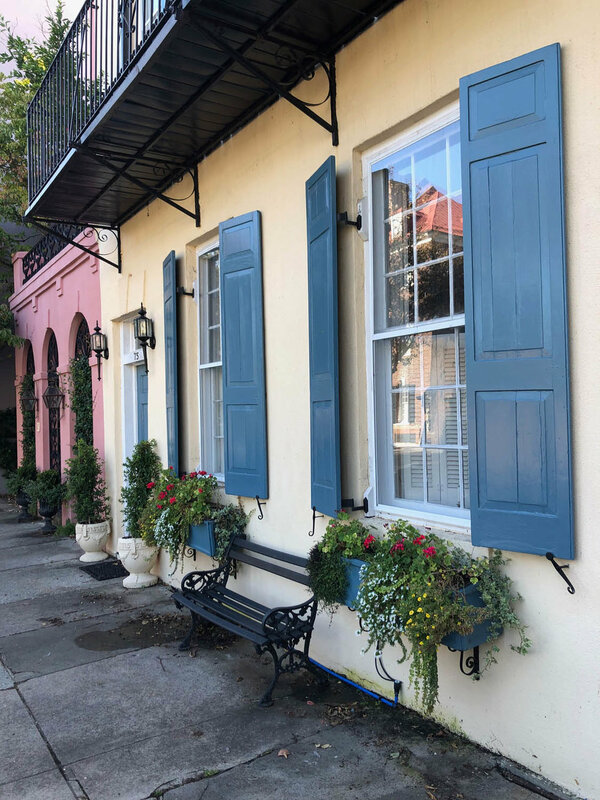 Another fascinating thing we learned on our carriage ride of Charleston was that some of these long narrow homes first greet you with a front porch door that, without seeing the side of the home, you would think you are walking into the home. However, you are walking onto a porch where you will find another door which is the real entrance to the house. 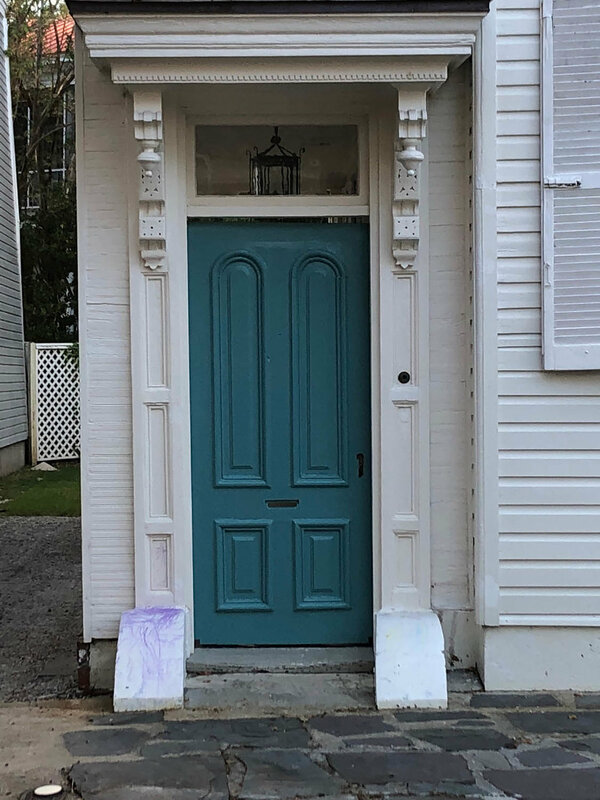 These “porch doors” are also known as hospitality doors, and used to be a way to communicate with friends and neighbors. Leaving the door open meant that the occupants were home and ready to receive guests. In regards to these long narrow houses, we were told by a long time resident that taxes were based on road frontage back in the day. So, the narrower the home, the less taxes you had to pay. I guess you could also say I’m obsessed with other welcoming accents like pretty gates, patios and even window boxes. I’d certainly say that Charleston fed my need for some architectural inspiration—oh, and the food was great too! Choose from beautiful colors of glass and odds and ends like pieces of jewelry, pebbles or seashells, to create your own masterpiece.